We are officially open in Jersey City! Last week Jersey City Councilman James Solomon welcomed us to the city with a ribbon-cutting ceremony. In 2016, we moved headquarters from New York City to Jersey City. Jersey City is an up and coming city directly across the river from New York. 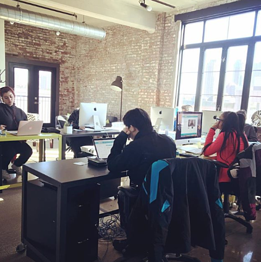 From Jersey City we’ve continued to build out our online prep program and tools to reach more students globally. We’re proud to say that we’ve now worked with over 10,000 students in 40 different countries! 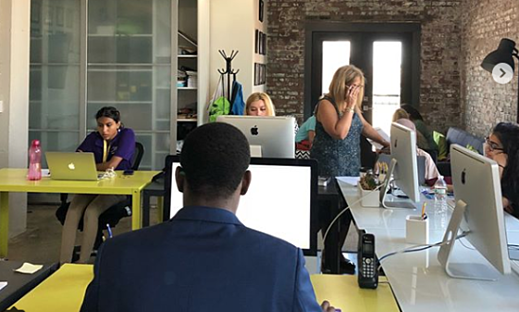 After building a successful brand internationally by bringing students online and in-class test prep we’ve been eager to develop classrooms in the US. We’ve discovered a big need for testing support and information for Jersey City residents. Many students and families are lost in the complex and confusing testing process and need a little extra help. Jersey City is busy, bustling, and growing! But the city is also home to a tight-knit community of families looking for the best education available. We saw an opportunity to offer classes to students locally and that’s just what we did. After an extended soft launch period, the classes have grown to serve more than 80 students and their families. 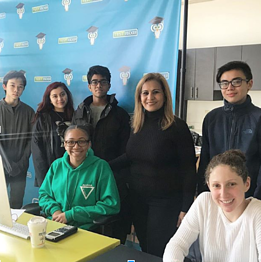 TestRocker plans on helping more students and families by expanding throughout Hudson County, New Jersey and beyond. The in-person classes have been very rewarding for us. Getting to meet our students and their families in-person, knowing them personally, and seeing them succeed brings the team a great amount of pride. Our classes are available year round. Enrollment is always rolling but space is limited and spots are reserved on a first come first serve basis. We like to create small group classes so that each tutor gets a lot of one-on-one time with students. Classes are held on Tuesdays, Wednesdays, and Saturdays depending on the test and the time of year. We have classes for the SAT and ACT, but also classes for the PSAT, PSAT 8/9, and other high school entrance exams as well. Classes operate as an extension of the online TestRocker course. Students work on their TestRocker accounts as an expert tutor provides brief lessons to the class and provides personalized support with each student throughout the class time. The TestRocker classroom is located at 190 Christopher Columbus Drive in Jersey City’s Historic Downtown neighborhood. The newly renovated Vito A. Lofts provide students with a comfortable and modern classroom experience. In order to enroll in our PSAT, SAT or ACT test prep classes families first need to attend a free consultation. During the consultation we discuss how your student can accomplish their entrance exam goals, create a personalized study plan, how TestRocker works and our available class schedule, and cover any other questions students and their families might have. You can pick a time to meet with TestRocker that’s right for you and your family - click here to begin or call 201-333-1023. In January, we will be launching classes in Manhattan to provide support for the kids in that community which is a highly competitive high school environment. 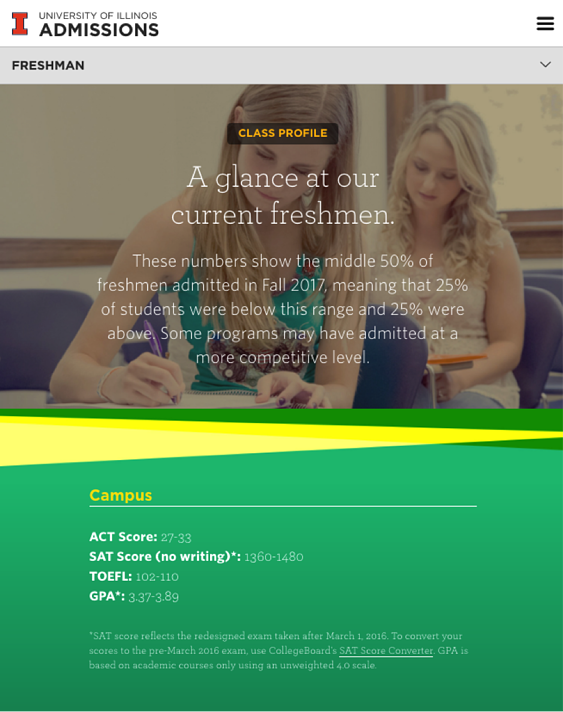 TestRocker is an online PSAT, SAT & ACT prep class that has students and classes around the world. TestRocker has taught more than 10,000 students in over 40 countries. They have won multiple education awards and have earned the approval of parents, students, and educators across three continents. On average, TestRocker students improve their scores by more than 180 on the SAT and more than 4 points on the ACT. TestRocker was designed by educator Suniti Mathur. With more than 18 years of experience preparing students for standardized tests, Suniti has perfected a learning program designed for students of all skill levels. The TestRocker program allows each student to reach their full potential and the highest scores possible. TestRocker holds free live events all year around. We present on tips, strategies and special SAT & ACT information. Most events are geared towards students while some are geared towards parents. See our entire list of upcoming events. Each live event has a set amount of time for a Q&A. 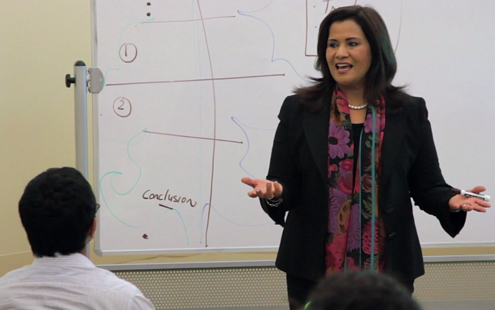 Below is the summary of the Q&A for our most recent live event How to Get a Perfect Score. Is it easier to get a perfect score on the SAT or ACT? It’s hard to say, because they are two very different tests. For example, there is more reading on the SAT, while the ACT gives you more of a chance to show off your quantitative skills. The best way to know which test you’ll do better on is to take our 5-minute propensity quiz. It can be a good idea to take both, especially if you are applying to highly competitive schools. To learn read more about the differences and which one may be easier you can read this article. When have you taken the test too many times? We recommend that you don’t take the test more than 3 times. There are other important aspects of your application that you need to focus on, namely your GPA and your essays. Should I take the SAT again if I've already scored 1500? A 1500 is a great score, but it can’t hurt to take it again. You can take a look at what you got wrong and see if you can’t do even better. Colleges will like that you put in the extra effort. If this is you then you should watch the entire How to Get a Perfect Score Seminar. When should I study for the SAT/ACT? Focus on your grades first. Then worry about your test scores. TestRocker is designed for the busy students who have small pockets of time, even if it’s just 15 minutes a day. Regular practice is the name of the game. You can try it out for free here. Can I ask the teacher questions on TestRocker? Yes! Click on the “Community” tab to ask a question, and you’ll get an email response within 24 hours. You also have live access to our teacher every Tuesday during our Live Practice Classes. Do Ivy League schools require perfect test scores? 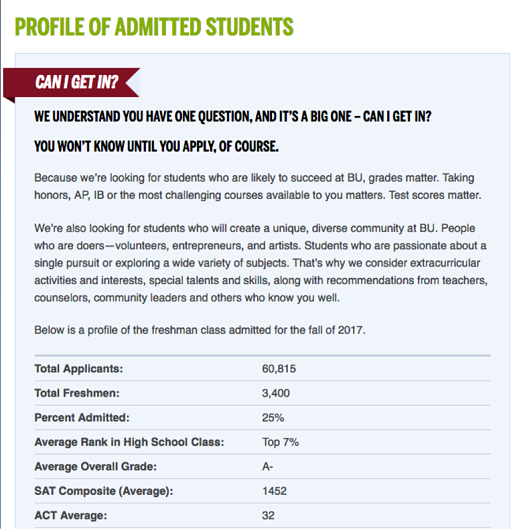 The best thing to do is to go to the school’s admissions website and look at the distribution of scores of the admitted class from the previous years. Obviously, the higher the better, but admissions committees may make exceptions for truly exceptional students, even if they have lower scores. Can an average score become an awesome score? TestRocker’s average score increase is 4 points on the ACT and 180 points on the SAT. If you’re an average scorer because of test-taking skills, we’ll help you conquer that. Is it true that the SAT can get harder in different months? To some extent, yes, because you are competing with the other people who are taking the test. So if you’re taking the test during less popular months, like in the summer, you have an advantage. However, the difference is so minimal, that this should not be your deciding factor. You should take the test when you feel ready. Is there a point at which you can’t improve your score anymore? If you have enough time to practice and you are using an effective tool, there is no reason you can’t get a perfect score. However, there are practical reasons you should not take the test more than 3 times, most importantly that you need to allocate your time to other aspects of your application. Can you talk about stress management? The best way to alleviate stress is to know what’s going to be on the test, practice your weaknesses, manage your time, take the test multiple times, and pay special attention to the reading section. We have an article about test taking anxiety. In this you will find more tips on how to manage your anxiety for test day. If I’m running out of time, can I answer more questions quickly and correctly? This is a bad strategy if you’re trying to get a perfect score. You want to try to get these harder questions correctly, so make sure you allocate your time properly according to the level of difficulty. Does TestRocker have anything for the essay? Yes! First of all, do not see the essay question as optional. We show you examples of the essays that score well and then let you practice. You can submit 2 practice essays, and then we give you handwritten feedback within 2 business days. What is a decent score for SAT subject tests? Usually a 700 or above shows that you know the subject well. It is best to take the subject tests right after you’ve covered the material in school. Choose the tests you are going to take wisely—subjects that you are strong in and are taking higher-level classes in. For example, preparing for an AP exam is also great preparation for the SAT subject test in the same subject. Just take the SAT subject tests once, as they don’t superscore and you won’t have enough test attempts. Because the SAT subject tests cover material you’ve learned in school, you will be less nervous and are more likely to do well with just one attempt. If you have more questions, send us an email at contactus@testrocker.com. Planning on taking the ACT? Awesome! However, unlike the tests you take at school, you can’t just show up at the test center. You need to register first. 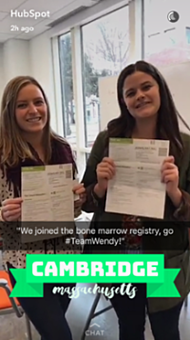 Without registering, you won’t be able to take the test. You might be thinking, “Great! Another thing I have to add to my to-do list.” Studying for the ACT is already stressful, and having to take care of the necessary logistics is a pain. But in this step-by-step guide, we’ll walk you through the process of how to register online—the easiest way to register. Follow these steps, and you should be able to register with no problem. Once that’s out of the way, you can go back to studying. Registration takes about 40 minutes. You’ll want to have on hand your or your parents’ credit card information, your high school course details, and a headshot photo. Before getting into the registration steps, keep in mind that you’ll want to register as early as possible in order to get your preferred testing location. They also have strict registration deadlines. For US students you can register late with a fee. But we recommend not procrastinating for this! Sometimes seats do become sold out. For more info on this check the ACT website. Find out what ACT skills you need to improve. This time of year, 11th graders ask us a lot of PSAT score related questions. A lot of students begin to panic when they get their PSAT results. So they come to us to figure out how to flip their score into a top SAT/ACT score. In this post, you will find the most common PSAT questions we get every December as PSAT scores come out. Leave a comment below if you have any additional questions, and I will get back to you as soon as possible. Does a low PSAT score hurt my college application? Turn that frown upside down: A low PSAT score will not hurt your college application. Colleges do not factor in your PSAT score as a part of your college application. The one negative of getting a very low PSAT score is that you will not meet the National Merit or other scholarship cut offs. But don’t be disheartened – only 7500 out of 1.6 million PSAT takers (that’s 0.5%) end up receiving scholarships through National Merit. The only thing a low PSAT score should do is motivate you to study hard for the SAT/ACT, because those scores matter a lot. Think of your PSAT score as a baseline. With the right practice, you can turn your PSAT score into a high SAT/ACT score. Do colleges see my PSAT score? Your individual PSAT score is not reported to colleges. However, if you opted in to Student Search Services during your PSAT test, you might hear from colleges and/or scholarship organizations if your score falls within a certain test score range the organization is looking for. Why is the PSAT out of 1520 if the SAT is out of 1600? If you got 1100 on the PSAT, you would score (approximately) 1100 on the SAT. Read our post all about understanding your PSAT score. Do I need to study for the SAT/ACT if I got a high PSAT score? You should definitely study for the SAT/ACT, no matter what your PSAT score is. First, the SAT/ACT are tougher than the PSAT. This means you will score lower on the actual tests unless you prepare. Second, your PSAT score is not reported to colleges. What is a good PSAT/SAT/ACT score? 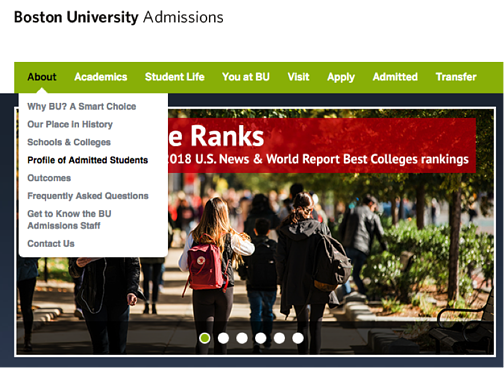 For BU, the Average SAT for their freshman admitted class 2021 is 1452, and average ACT is 32. 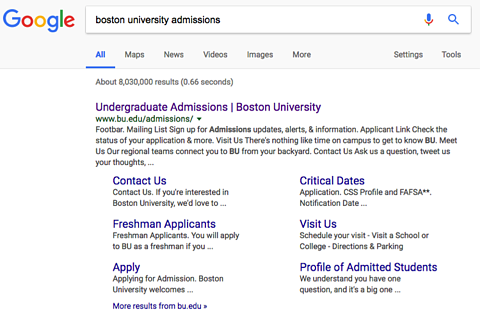 So for a student who wants to know what a good score is if they’re interested in a university like BU, a good score is around 1400 on the SAT or 30+ on the ACT. Make sure you click on the official University’s site (it should end in .edu) as there are a lot of other non-official sources of information that might not be most recent or as accurate. For University of Illinois, the Average SAT for their freshman admitted class 2021 range is 1360-1480, and average ACT is 27-33. So for a student who wants to know what a good score is if they’re interested in a university like University of Illinois, a good score is one that falls within either of those ranges. We find a lot of our student have a hard time registering for the SAT. The SAT is something that stresses a lot of students out as is, and no one likes to fill out forms. Some people get stuck on all of that paper work. Additionally, some people have a hard enough time finding where to begin. That's understandable considering CollegeBoard has so much content on their website. So this is why we have written up a step by step guide on how to register for the SAT. At step 1 you will find a link that will take you directly to the beginning of the SAT Registration. Then follow our images below which will walk you through the entire process. What you will need: A head shot saved on your computer, valid passport(international students), and the registration fee (varies based on location). If you need to find the SAT dates and the registration deadlines click here. If you still have any problems at all then leave us a comment below and we will try to get back to you as soon as possible. Need to Prepare for the SAT? In the midst of prepping for the dreaded SAT and ACT, it can be easy to let certain details fall through the cracks. However, these seemingly minor details can have major implications for your college application process. Don’t let this happen to you. 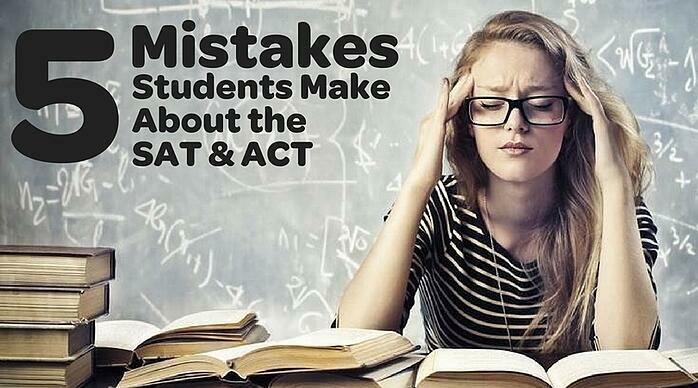 Here, we highlight 5 common SAT mistakes and ACT mistakes students make. For SAT tips and ACT tips on how to avoid these mistakes continue reading. Not sending your scores to your colleges of interest. Most colleges require you to submit your standardized test scores as part of your application—that’s the whole reason you’re taking these tests, right? On Collegeboard, you can submit your SAT scores up to 4 colleges of interest for free for every test date that you register for. As soon as your scores become available they are sent to those schools. It seems obvious, but you’d be surprised at how many students don’t do this. Double- and triple-check to make sure that your scores have been sent to all colleges of interest. If you don't, you will need to pay to send your scores again and they take longer to deliver. Providing the wrong information on interest forms. The PSAT registration, along with other resources, asks you to indicate what majors you’re interested in. There are tons of websites that are great resource for college research but be aware that in most cases the information you provide them is given to colleges. So make sure you’re providing the correct information. Again, seems easy. You might be thinking, “Who would make a mistake like that?” But it happens. So just be careful. Submitting the wrong information could mislead admissions counselors and could hurt your chances of acceptance if your schools of interest don’t offer your reported majors of interest. Here are some good websites for college research. Again, be careful to provide the best information for you. Not doing the “optional” essay section. Yes, it might say it’s an optional essay, but when it comes to college admissions, you should interpret “optional” as “required.” First of all, some colleges still require the essay. If you decide to apply to one of those colleges, you will have to take the tests with the essay section. Second of all, doing the essay even if it’s not required by the college can improve the college’s impression of you because the essay serves as another piece of information about you. You always want to try to go above and beyond what’s expected of you. And, the more time they spend on your application, the less time they have to spend on someone else's! There’s no benefit to not doing the essay. Feel that you’re just not good at essay writing? That’s nothing that a little bit of preparation can’t help with—for example, with TestRocker. A real person will hand grade at least 2 practice essays, and give you feedback on what to change and how to do better. Not bringing the right materials. The night before your test, set aside everything that you’re going to need so that you’re not scrambling the morning of and inadvertently forget something. You will need a photo ID, your admission ticket, at least two No. 2 pencils with erasers, and an approved calculator with spare batteries. If you don’t have your ID and your admission ticket, you won’t be allowed into the test room. If you take the test with anything other than a No. 2 pencil, it will not be scored properly. And if you don’t have a calculator, you’ll just spend more time than you have to on certain math problems. It’s also a good idea to bring snacks and water to help you maintain your stamina throughout the test. Not planning for multiple test attempts. While it may not be pleasant to take the SAT and ACT, you should absolutely plan to take the test at least twice. If you don’t do as well as you would have liked the first time around, then you definitely want to take it again so that you can put your best foot forward on college applications. Make sure that you schedule accordingly and register in time so that you’re able to submit your scores in time for college application deadlines. It would be a shame to not make a college application deadline because you didn’t take the SAT or ACT early enough. And if you did score well the first time, awesome! You can still take the test again for the opportunity to superscore or to submit your best scores. Use TestRocker’s downloadable test prep plan to make sure you are on the right track. Finally, register for the tests as soon as possible because test centers fill up fast. In many cities/countries, there is only one test center. And once a test center is full, you will have to wait until the next available test date. Have more questions? Comment them below or talk to a TestRocker expert. By now it should come as no surprise that scoring well on the SAT and/or ACT will increase your chances of getting into your top colleges. 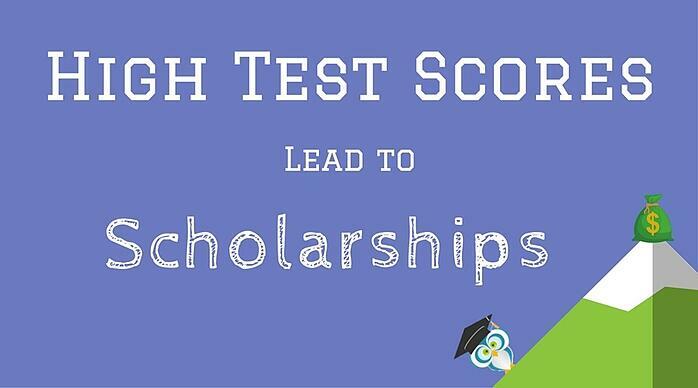 What you may or may not have heard is that high test scores also increase your chances of getting college scholarships. Let’s face it—college is expensive! For this reason, it’s a good idea to take advantage of any sort of financial assistance you can get. There are nonprofits and other organizations that can provide scholarships, but the most common scholarship will come from your college itself. The SAT/ACT give you an opportunity. Perhaps you didn't get the best grades and your GPA is average at best, but you redeem yourself by scoring big on your entrance exams. That could still potentially lead to a scholarship. If you did have a good GPA and accompany it by outstanding test scores then sky's the limit. Different colleges will award different types of test score scholarships. While it is a good idea to check with the colleges that you’re interested in to make sure you’re getting the most up-to-date information, this blog curates relevant data from Guaranteed Scholarships on SAT/ACT scores and scholarship opportunities. Below you will find tables about dozens of colleges and their typical ACT & SAT scholarship offers correlating with test scores. Don't forget about superscoring your test scores. Every point counts when it comes to scholarships and superscoring is the key to bumping your total score to the next scholarship tier. 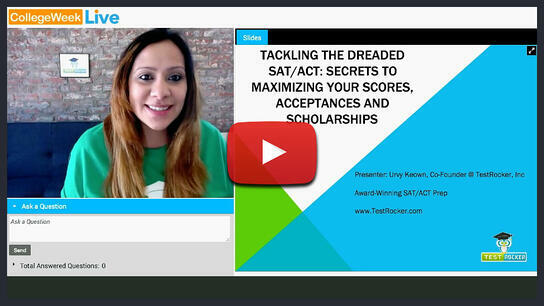 Improve your test scores through TestRocker and receive SAT & ACT scholarships. If your school of interest is not listed, leave a comment below and we will reach out to help. Preparing for the SAT & ACT with TestRocker will help you improve your scores. Give it a try—you never know how much money you will end up saving on your college degree! Video is becoming a more and more common medium in educational settings, and with good reason. Think about it—are you more likely to be engaged when you’re just reading something or listening to a teacher talking? Or when you’re watching a video that actually brings the concepts you’re learning to life? Several studies have demonstrated that watching videos is associated with greater retention and better mastery of material, which explains the success of TestRocker. TestRocker has over 4000 videos about the SAT, ACT, and PSAT. It also has over 4000 practice questions, each of which are accompanied by at least one video. We’ve found that students who perform the best on the tests after using TestRocker are also those who have watched the most videos. Because of our love for video we’ve searched around for the top SAT videos and ACT videos online. If nothing else, you’ll want to be sure to watch at least these 9, which are discussed in detail below. For those of you taking the PSAT, these can also be helpful PSAT videos. 9. Why Punctuation is Important. Without punctuation there is no sentence. Punctuation is the glue that holds together a set of statements. In this video you will learn why it is so important. It will help you understand the importance of the writing and essay sections of the SAT and ACT. This video has 2 parts. So be sure to continue on to the next video to complete the entire lesson. Click here to see our entire punctuation series. 8. SAT vs ACT Myths & Facts. There are a lot of myths about the SAT & ACT. A lot of times these myths mislead students into taking the test that isn't best for them. In this video you will learn about SAT myths and ACT myths. Remember no one test is "easier" than the other, or are they? Read about which test is easier. 6. Know What to Bring on Test Day. This is important because if you bring the wrong tools or don't come prepared with the right credentials then it's possible you won't be allowed to take the test. That's a rough situation to be in. That means you wasted your money registering for that test, you might have spent a lot of time preparing for that partiuclar test, or it could already be late in the application season. This video highlights what you need to bring, what not to bring and additional items you might want to bring with you to the test. Read more about what to bring and not to bring on test day. 5. How to Get Scholarships With Good Test Scores. In this video a college student explains how her test scores resulted in receiving a scholarship. So she explains why preparing for your SAT or ACT is immensely important. In this video the creator talks about procrastination and the misconception that it is fueled by lack of motivation. He brings up the point it fueled by the lack of willingness. Watch the video to understand more. 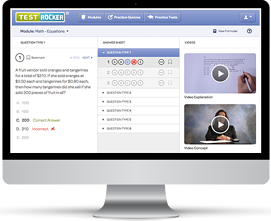 TestRockers best student success stories come from students who have watched the most number of our videos. I am talking hundreds of our videos. It sounds like a lot; however, using TestRocker a little bit each day or a few times a week will really begin to add up the number of videos watched quickly. With average score increases of +180 SAT and +4 ACT, our combination of practice questions and video explanations takes the cake as the best test prep option. Start watching our videos. It's important to know how to function your calculator for the test. You might need to learn how to use a scientific calculator or how to function your particular model, and how to use it for specific types of questions. 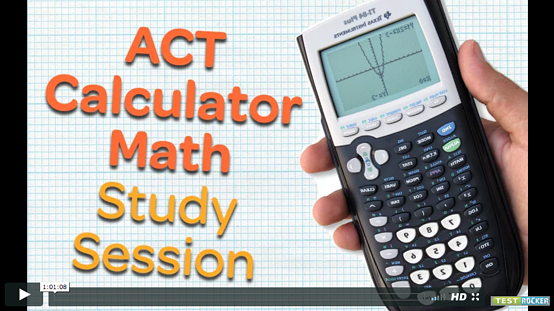 This ACT calculator video goes over it all and will greatly improve your score by learning the tips and tricks our tutor will explain. Keep in mind this video is also very good for any SAT calculator help also! There's a secret to the TestRocker process that not every test prep service utilizes. In this video Urvashi explains the process of a proper SAT/ACT prep plan, how to take your score to an impressive level and learn why scholarships and college recruiting starts with the PSAT. Possibly the most under utilized yet most effective strategy for boosting your test scores. This video explains how you can superscore your test scores. Read our article to get all of the details about superscoring. By now you should have a good grasp on the importance of the SAT & ACT, and why it is important to be well prepared for it. Now for your next step, get settled with a good test prep service. For more questions or comments, please enter them below in our comment field. Are you an Educational Consultant trying to grow your business? If so, first of all, kudos on doing what you do! Through your work, you are helping several students reach their full potential in high school, college, and beyond. Secondly, as you probably already know, if you want to get your name out there and reach a broader base of customers, you need to meet your target audience where they are. These days, you’re probably going to find most of your target audience online. More and more, kids and their parents are using the Internet to research colleges and to prep for the SAT and ACT. Therefore, it is highly effective to leverage social media to reach more people and grow your business. There are so many different features on the different social media platforms that you can use to make your content more interesting, fun and relatable to your audience. In this post, we’ll first give you a rundown of the reasons you should be using social media. Then we’ll talk about which platforms you should use for which audiences and the features you should use to make the most of these platforms. Can I really get business from Social Media? Of course you can. We know from experience. For many of our students some sort of social media interaction impacted their decision to sign up. Here are 6 reasons we use social media and why so many use it to their advantage. The best things in life are free, right? On social media, you don’t have to spend excessive amounts of money on advertising. It is free to create an account or page and to post on any platform, and should you decide to use paid advertising to reach potential customers, you can spend as much or as little as you want depending on the number of people you are hoping to reach. On social media, just a little bit of money can expand your reach. It’s a great way to expand awareness of your services. Once you start reaching the right people, your following will start to grow organically. With the right type of content, your followers will be inclined to share your posts among their networks, creating a ripple effect. On social media, you can reach many more people and get your name out there much faster compared to non-digital methods of advertising. There are so many built-in features to help you create more interesting content. Whether it’s videos, photo albums, live streaming, or stories, social media platforms are filled with fun and innovative features that will help you capture your audience’s attention. You should take full advantage of these features and use analytics to determine which ones give you the most reach and engagement. Keep in mind that the newer features are likely to get the most engagement, since apps and websites like to promote them the most. We recommend always keeping variety in the type and content of your posts to keep your social channels fresh and more interesting. It’s an easy way to communicate. Teens typically spend anywhere between 6 and 10 hours online a day. Social media seems to be their preferred method of communication today. If they have questions about anything school-related, they’re likely to quickly pull up your Facebook page and send you a message rather than call or email. Having a presence on social media allows for your audience to conveniently get in touch with you. These days, every business and brand has a presence on social media. If you are not already on social media, you are doing yourself a disservice. Building your credibility is not only posting about your brand, but also by sharing information that is genuinely useful to your audience. In the marketing world this is called “trust factor.” You need to show your audience that you are legitimate. To do this, be sure to post about news, testimonials, reviews, and company culture. There will be potential clients who look you up on social media to find trust factor. You want to make sure to look professional, knowledgeable and successful. Otherwise a poorly displayed business on social media can look a poorly ran business. 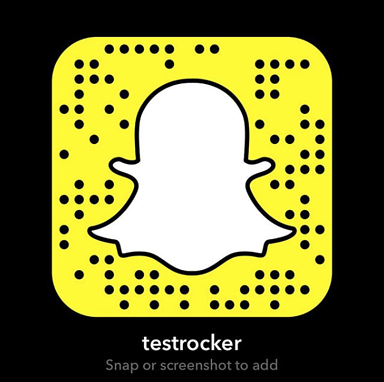 Take a look at TestRocker's Facebook Page as an example. Followers like to see the person behind the brand, and social media is a great way to do just that. Showing your personality through photos, videos, stories, and live streaming helps your audience build a connection with you, which will increase engagement and ultimately bring in more business. Now that you’re convinced to get on social media to build your followership and your business, we’re going to discuss the most important social media platforms for reaching your target audiences, namely students and their parents. We came up with 9 of the most important Social Media tips to grow your business. Download the list and be sure to follow each tip and watch your business grow! Parents, especially mothers, often use Pinterest to exchange ideas about such topics as recipes, DIY around the house, and of course, their kids. Posting infographics or downloadable resources is an effective method to garner social media attention and get more contacts. Parents are influenced by social media just as much as a teenager would. According to WordStream 93% of Pinterest Users use the platform to plan or make purchases. As you can see here this Pinterest post from a Homeschooling mother has 22 pins. Those are 22 influenced parents who are showing their trust and want to show their followers the post. Facebook is the largest social media platform and you can find almost everyone on here. While kids are still on Facebook they have taken to and spend more time on other platforms, you will still find their parents on Facebook. On Facebook, you can boost posts so that they reach more people in your target demographic. A cool feature to take advantage of is “Facebook Live,” where you can live stream your content. Facebook is all about their Facebook live feature because it's fairly new and gets great engagement. Good go to Facebook Live feeds are to do Q & A's, wacky challenges, hold a seminar or even showing the sights and sounds of a special event. Other than these cool features Facebook can operate like Pinterest would. 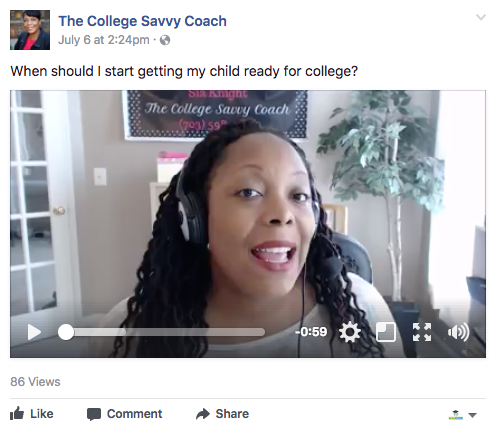 There are tons of impressionable parents on Facebook eager to help their student grow. LinkedIn is the place to be for professional networking, which is why you’ll find parents on here. In particular, LinkedIn Messaging has a high open rate because LinkedIn constantly reminds you to view a message until you’ve clicked on it or deleted it. Today’s youth enjoy and engage with visual content more so than text based content, which is what makes Instagram so effective. According to New Survey, 76% of American teens are on Instagram. That's a huge opportunity. Followers want to see visually appealing things on Instagram. Aesthetic is everything. 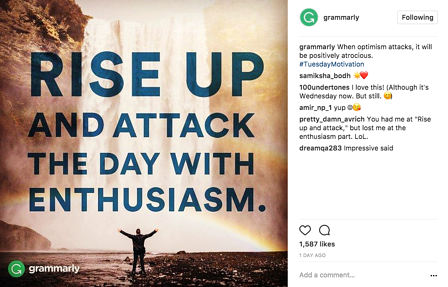 It is important to get engagement with your content otherwise Instagram will give it a shorter shelf time to show to your followers. They want their users to have a good experience and showing content that doesn't perform well is not going to help. However, we understand your service isn't a visually tangible product. It's hard to create content around that. If you can supply a good mix of professional, fun, aesthetic and relevant content then skies the limit. 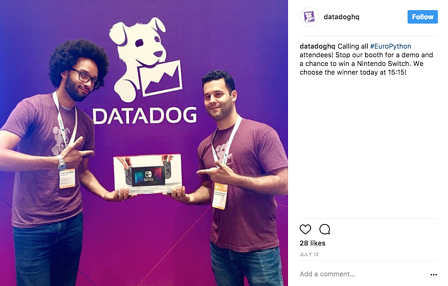 Here are a few companies that also don't have the most visual products but still rock Instagram. Today more than 75% of American teenagers use Snapchat. We’ve been finding that kid’s today are using this app for basic messaging, even more than texting and iMessaging in some cases. However, Snapchat can be a bit more complicated than a simple post and call to action. For those of you who don’t have a good grasp on Snapchat, let me explain. The concept behind it is that you send a “snap” to a friend or a set of friends. A snap can be a picture or a video that can go for no longer than 10 seconds. After your friend views the snap it vanishes from their inbox forever. However, they can then reply with their own snap or text back. Live stories are also a fun feature to take advantage of. Stories are similar to a snap in that they are temporary. You can post a video or picture for your entire following to see and they can view it as many times as they want for 24 hours. With those features aside, you can still privately direct message (DM) followers. This is where the value in Snapchat is for you. 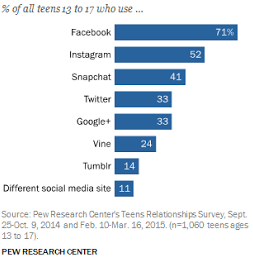 Again kids are starting to Snap and/or Gram as their preferred platform for communication. We have found that many students prefer communication on Snapchat or Instagram. Why wouldn’t you utilize that gateway to start a conversation? 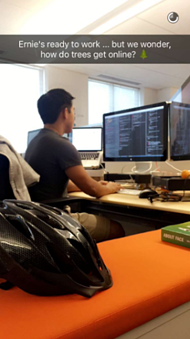 HubSpot taking advantage of their Snapchat account. Follow us as we recently launched our account! Not only is Twitter easy to use, it is incredible for getting information out in real time. It’s also easy to schedule posts in advance. When using Twitter, keep in mind that most tweets have a lifetime of 18 minutes according to WishPond, and possibly less if your followers are following lots of accounts. Therefore, it’s a good idea to schedule your posts at times when you know your audience will be online and to re-tweet important posts to increase your audience’s chances of seeing them. In our increasingly globalized world, youth and adults alike are using WhatsApp to connect with their friends in different countries. WhatsApp is the worlds leading messaging app around the world. It's similar to iMessage where it does not rack up fees because it is a web based platform. Therefore, it is perfect for professional communication, international communication and even just basic communication if you prefer. For us as educational professionals it opens up a window of opportunity by making communication easier and cost efficient with our international students. We attended the HECA annual conference in Long Beach, CA this year and had some excellent conversations with a side of southern California sun. Something that we found interesting was the volume of conversations happening among peers and in sessions that centered on how to expand your independent consulting business. 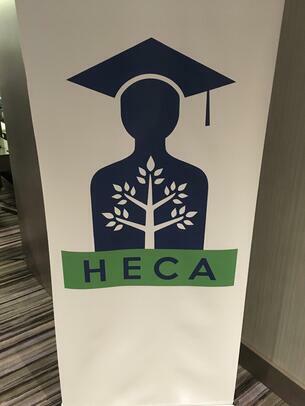 This being our first experience at HECA, we anticipated the usual conference discussions about new policies at schools or sharing a few things from a recent campus visit that were intriguing. Much to our surprise, there were so many generous conversations related to how small businesses have grown into groups and practices serving dozens of students at each grade level. At TestRocker, we can relate and have crossed a lot of the same bridges that you have. It's for that reason, we wanted to share some ideas on how to grow your business. Some of these ideas we got from consultants at the conference and others are practices we have stumbled upon as we grew our business from 1 country to 36 countries! 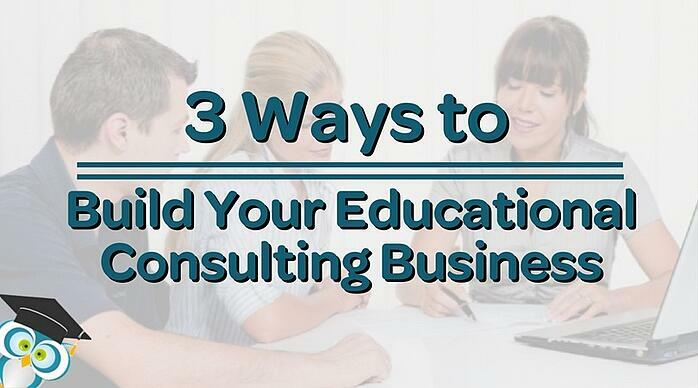 Without further ado, here are 3 ways to grow your educational consulting business. 1. Think outside the box for referrals. There are many people in a student's life from family to teachers and coaches. Finding contacts in unique ways can not only be untapped wells, but also create helpful relationships with influencers in a student's life. Is there an employer in the community that gives out internships to high school students? Are there Meetup groups in your area where you can not only engage with a hobby of yours, but also find parents of students with similar interests? What are students doing after school other than the traditional activities like sports, band or clubs? There are many organizations that offer non-traditional after school experiences now. After coming up with your new ideas for reaching students, contact the necessary person in charge of that organization or event. Then explain how you can help them and vice-versa to help services for services. It works like a charm. 2. Use social media appropriately & effectively. There's no doubt that social media plays a big part in every business now. It doesn't matter what the demographic is, there's a way to effectively use social media. It's especially influential to a teenage and parent demographic. Using social media can bring in new clients or keep existing clients. The best part about it: for the most part, it's free! There are two key parts to social media marketing. 1. What social media outlets to use. 2. How to use social media to impact your business. There's a lot to discuss on this topic. To get actionable ideas on how to grow your business with social media click here. Add complimentary services to generate additional revenue without changing the time you spend on regular counseling activities. By partnering with complimentary services, you generate additional revenue with the same amount of effort. Obviously, it should mirror the same high level of customer service that you provide in your practice as well as be a trusted resource on whatever piece of the process you are helping with, from test prep and interview prep. It's just easier to sell a full service product than have potential clients spending additional time shopping instead of making a decision and getting to work sooner. TestRocker is a perfect example of a service that operates on a similar timeline that you you'll inevitably address in conversations with your students anyway. College entrance exams are our specialty and we've been working with consultants and their students for over 5 years now, so we know the level of service that is required when you refer students to work with us. I'd love to tell you more about how we can support your practice as a complimentary service. Let's start with a quick 15 minute demo of the program so you can see how it works. Suniti is the creator of TestRocker, an online learning platform that helps you unlock your dream PSAT, SAT and ACT scores. TestRocker is based on Suniti’s highly successful and proven method of teaching thousands of students how to maximize their PSAT, SAT and ACT scores for over a decade. 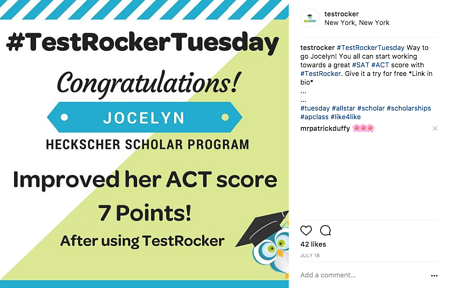 TestRocker is an award-winning PSAT/SAT/ACT program that empowers students to take control of their test preparation. After taking a diagnostic test, students receive a customized study plan, individualized to their strengths/weaknesses. Students practice and learn concepts through videos. Each of the 2000+ questions on TestRocker is accompanied by a video explanation from Suniti. TestRocker has the largest video library in the world for PSAT/SAT/ACT preparation.